There are countless upgrades available for your FIAT 500 ABARTH, why not start with something you can feel! 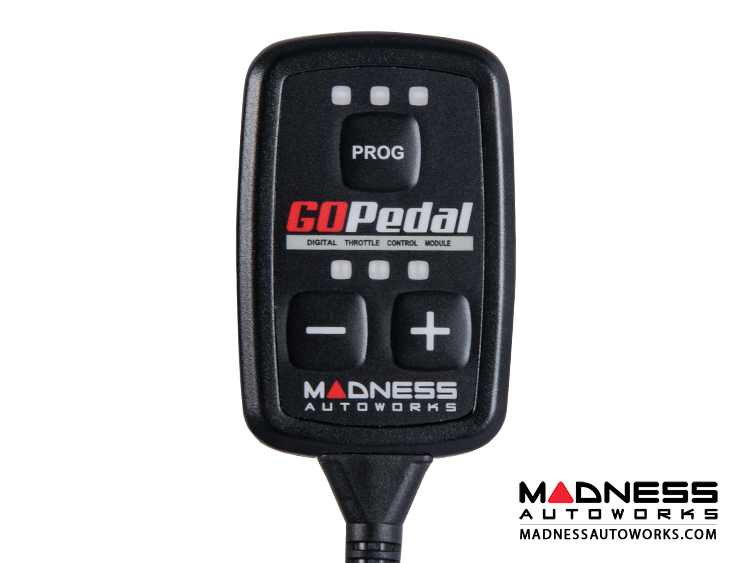 The MADNESS GOPedal is designed to reduce initial lag felt in todays drive by wire vehicles by allowing you to advance your throttle’s timing to give you a more direct response for a much improved feel. 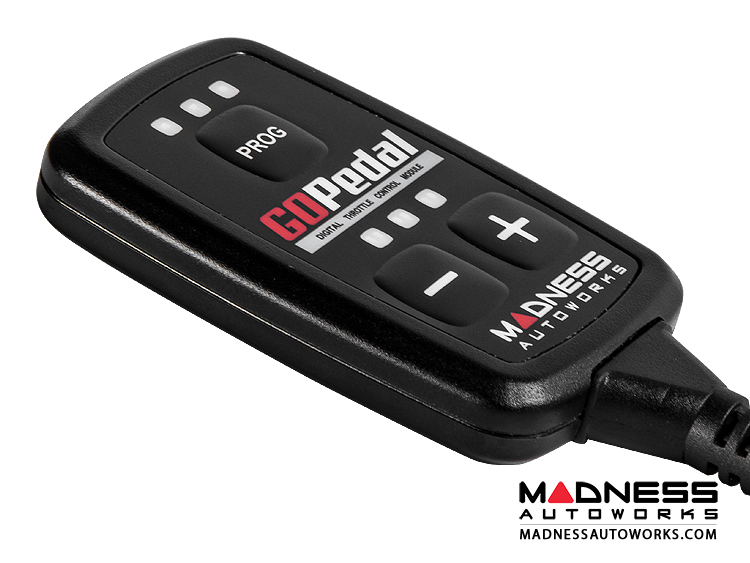 The GOPedal puts the control in your hands! 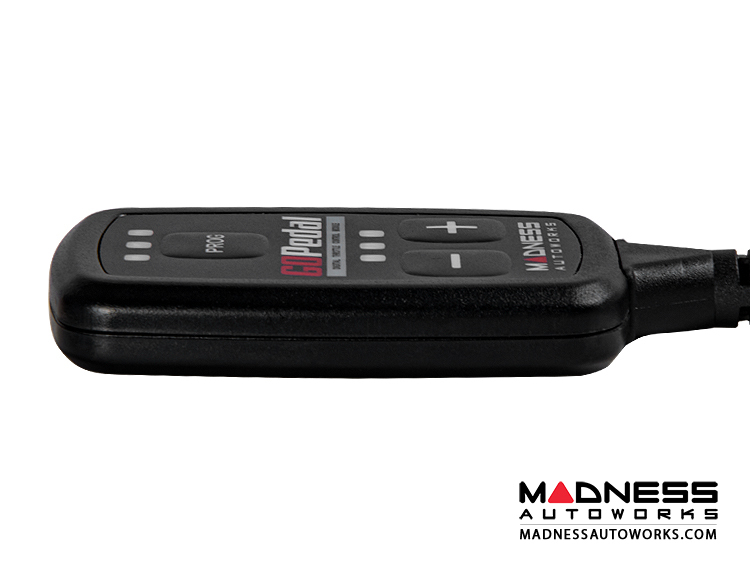 With four different modes and 8 settings, there is an adjustment to suit your needs. 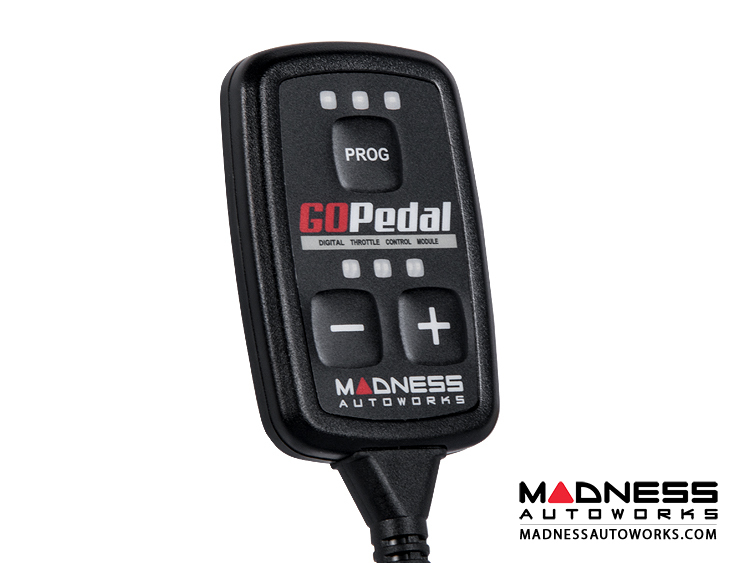 Thousands of satisfied FIAT Owners have purchased and use the MADNESS GOPedal! 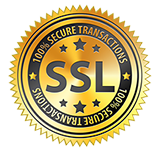 Try it out and find out why this is one of the best selling and reviewed products available for the FIAT 500 ABARTH. OFF - This mode returns you to stock programming. ECO - This mode is designed for stop-and-go city traffic. This mode will improve lower end torque and optimize fuel consumption. SPORT - This mode improves your throttle response by up to 16% making it suitable for everyday driving. 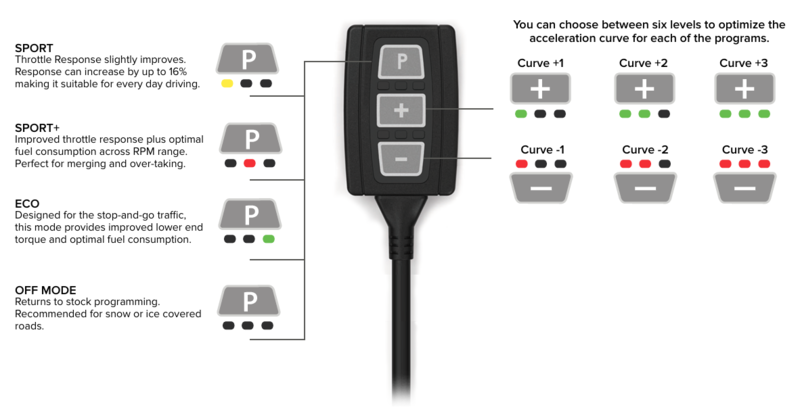 SPORT+ - This mode improves your throttle response and optimizes your fuel consumption across RPM range. Perfect for merging and overtaking. 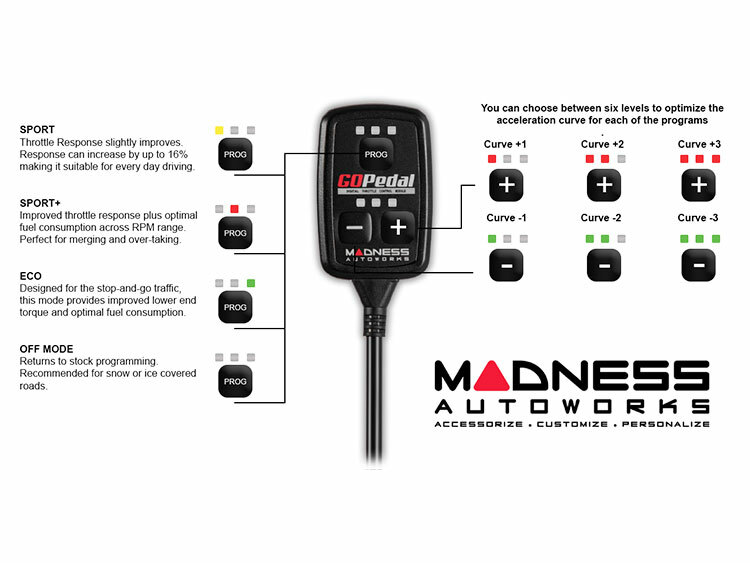 The MADNESS GOPedal comes with an additional curve feature to fine tune each individual mode. You can choose between six different levels of adjustment on each mode. The Green Curves (+) will make the current mode you are on progressively more aggressive on each positive curve. The Red Curves (-) will make the current mode you are on progressively less aggressive on each negative curve. 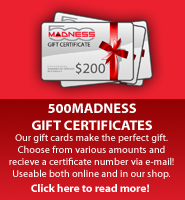 This is one of the only upgrades available for your FIAT 500 ABARTH that comes with a 30 Day Money Back Guarantee! 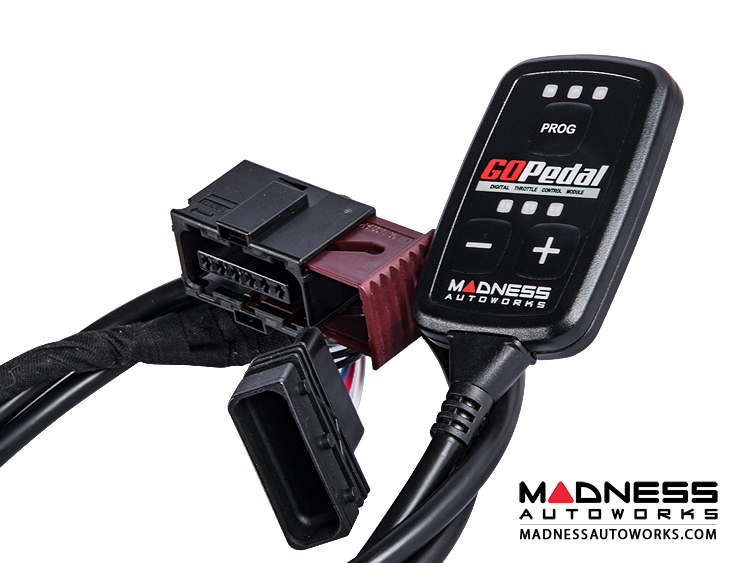 We are so confident that you will love our MADNESS GOPedal Plus for your FIAT 500 ABARTH that we are giving you a 30 Day Money Back Guarantee. Try it and if you don't love it send it back for a full refund! 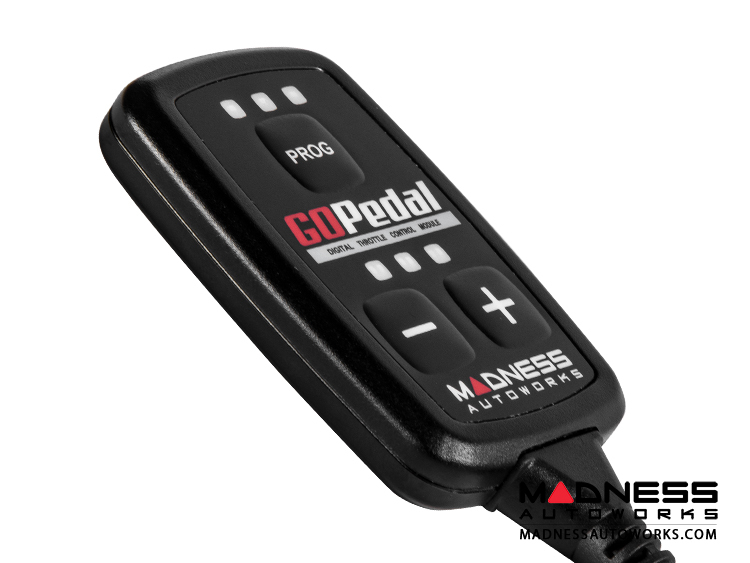 The MADNESS GOPedal also carries a 2 year warranty against malfunction! In the unlikely event of fault, simply reach out to us and if a fault is found with the GOPedal a replacement will be sent to you.